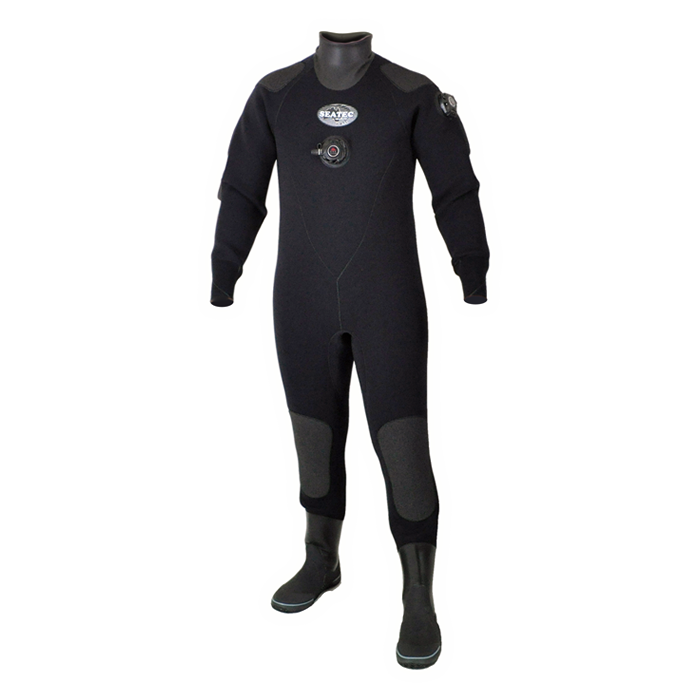 Offers professional divers a hardy and tough suit when getting the job done is what counts! a true No. 6 professional dry zip, kevlar wear pads and tough but comfortable inner and outer linings with local servicing if required.